When Jaguar Land Rover announced this year that they had created a new "Special Vehicle Operations" division of the company to develop halo vehicles (range-topping creations designed to boost a brand's image so that the admiration for the halo vehicle might subconsciously spread to the rest of the range in buyers minds) and bespoke commissions, nobody quite knew what to expect from them. Some tarted up special editions with an exclusive coat of paint and some new wheels - or something legitimately special? 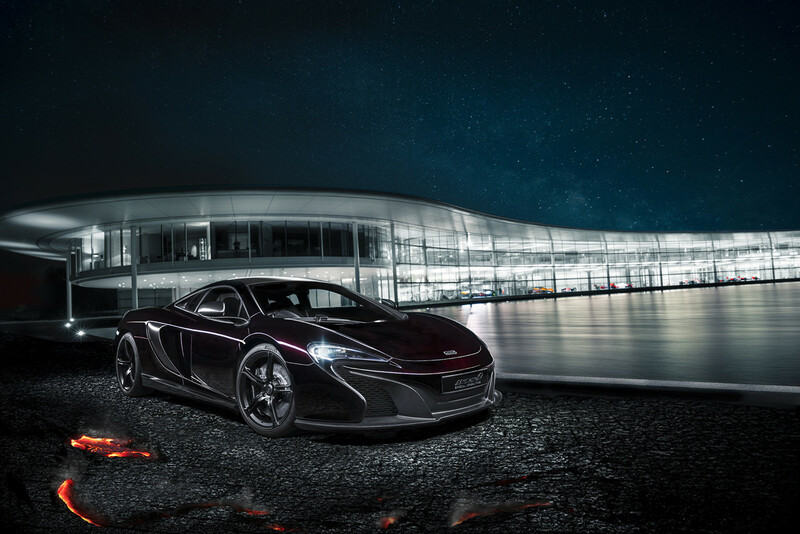 Well, the former did indeed come to light when fellow British manufacturer McLaren unveiled their own newly created Special Operations team's first effort with the MSO 650S Coupe Concept - essentially some paint, wheels and a slathering of carbon fiber bodykit. I get it, the "individualisation" angle is one of great profitability for manufacturers, where they give customers the ability to choose "off brochure" colours, shades and textures of leather not available to us ordinary plebeians ordering standard vehicles. It makes people feel special as they now own something personal and rare, and rightly so - it's something we'd all probably do if we were swimming in cash. It's just that these things aren't new and exciting, they are really just another page of options in a new brochure that only certain clients bank accounts will sustain without alarming their accountant. Thankfully the team at Jaguar's Special Vehicle Operations managed to get the green light to develop something this is actually special, and they are pretty proud of it. I am talking about the jaguar's first release with the F-Type Project 7 of course. A halo car taken from concept form to a small production run of 250 hand built vehicles, retaining a satisfyingly close resemblance to the concept's gorgeous looks. While the blue works better to my eyes, the production car still looks sensational and was revealed to a wildly positive reception at the Goodwood Festival of Speed this weekend. In case you were curious about that name, the "7" reflects Jaguar's seven wins at Le Mans between 1951 and 1990. It's not just good looks though, by the sounds of it, this is a serious performance car to boot. The F-Type Project 7 will set you back a slightly alarming £135,000 ($245,000) but for that princely sum you will receive the keys to Jaguars fastest and most powerful production car ever. You are looking at 567hp and 516lb ft of torque from Jaguar's supercharged 5.0-liter V8 (79hp more than the F-Type V8 S roadster) , combined with an 80kg diet, and a superb bespoke aerodynamic bodykit that provides 177% more downforce than the standard car. That's the meat of it, and it results in 60mph taking just 3.8 seconds and a top speed of 186mph, with an appetite for racing circuits not seen in Jaguars other cars. Also of note; bespoke suspension, increased negative camber to find more grip, carbon-ceramic brakes and torque vectoring to help put that power down through the corners. It would seem that Jaguar's first effort handily bests McLaren's in the hypothetical competition for "most interesting British Special Operations creation", but I wouldn't expect it will be too long before something exciting comes out of the labs at Woking to grab some headlines. Regardless, one thing that Jaguar are certainly succeeding at is bringing the average age of its customers down a year or two with each new release. 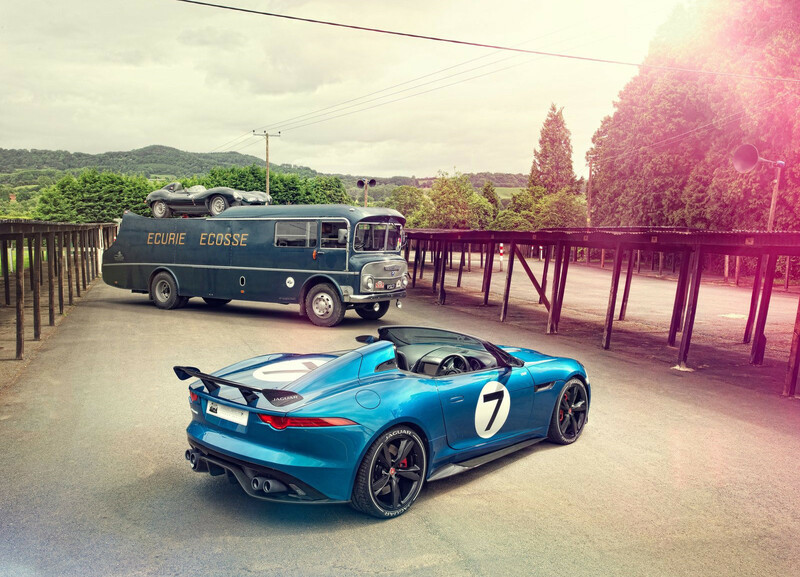 The Project 7 cars gives the brand it's most dashing and youthful design yet, while also keeping the established fans happy by paying homage to their history legendary cars like the D-Type.